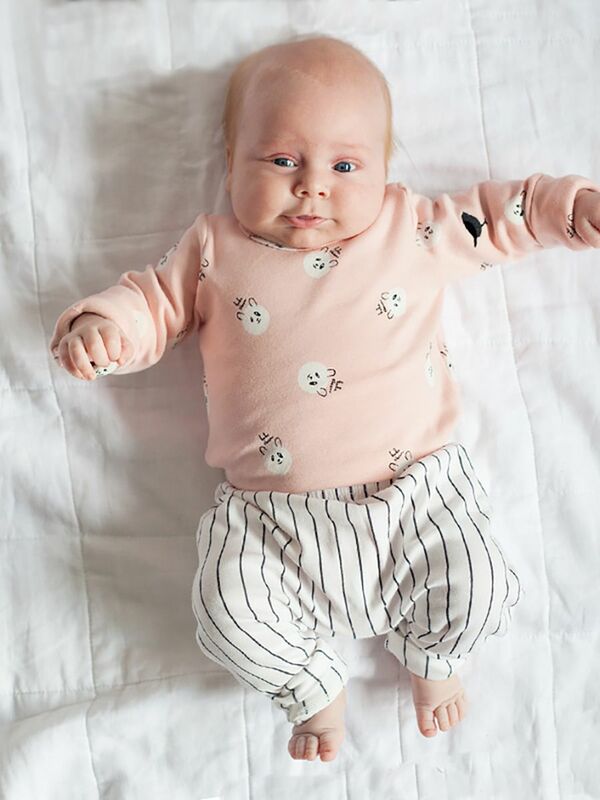 Pale pink panda print longsleeved body suit paired with long striped pants. Two snap buttons on one shoulder. Three snap buttons on the bottom for easy nappy change. Elasticated white pants with black stripes. Stiched black logo on one sleeve.